Last weekend, my dad brought us to Super Tanker having dinner. We only have a simple dinner after shopping. Anyway today I would like to recommend you this Fried TaoHu. It's delicious and crispy, eat it with some tomato/chili sauce have another taste. Besides having the fried taohu, we still ate char kuey kar, yu zai mee, loh mee and also shar bo rice. 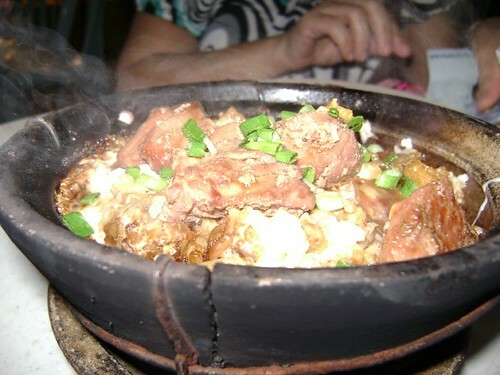 This is what I mentioned the fried taohu. 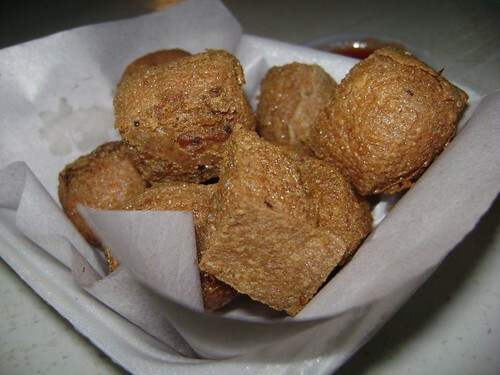 I think this is one of the popular food in Super Tanker. You can get it if you walk into the food court near the Super Tanker Famous Roasted Duck stall. 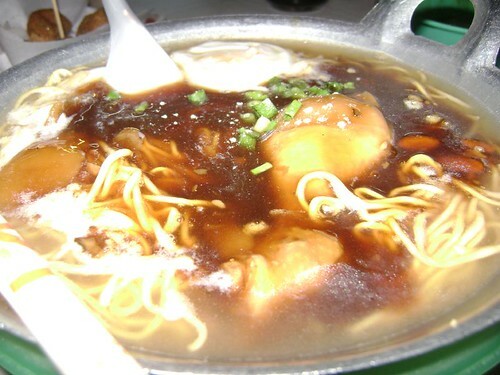 This bowl of yu zai mee is what I have that night. I don't realize the meaning of 药材面 so I order one and taste it. It seems not bad and the ingredients that given is much. Have eggs, a chicken drumstick, tao kua etc. 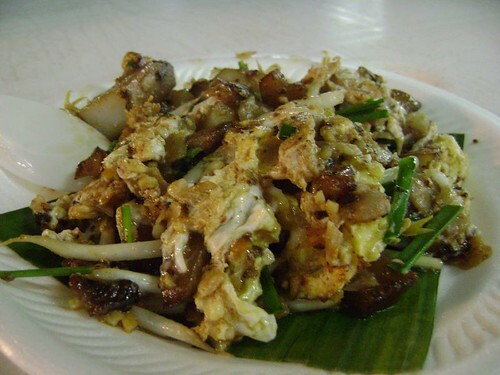 My sister like char koay kah very much, everytime she went to food court and sure she will order a plate of char koay kah/char koay teow. This stall of char koay kah also not bad, rating for it 7/10. A bowl of rice shared by the whole family. This bowl of rice is really delicious and contains many of pork meat(non halal), chicken meat and the chef cooked it until so nice smell. When I ate it, the rice was hot enough and the taste split in my mouth! Good. 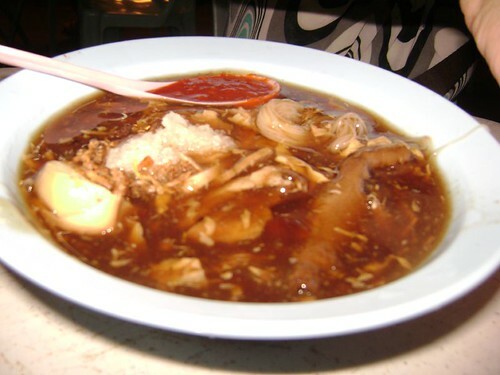 Lastly, my dad and mum were having loh mee each. This Loh Mee seller is my dad's friend and there was not bad too. Provided many ingredients and just only cost RM2.50, good hawker! This dinner we have a comfortable pricing and the delicious food.